RENTAL price rises in Brisbane’s inner city have cooled off as more tenants start looking to buy but rental growth can still be found. 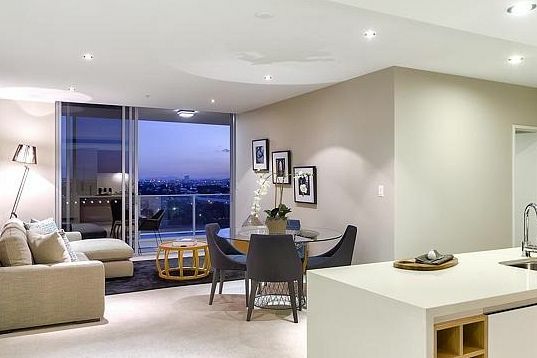 Two-bedroom apartments have stood out as a star performer for rental growth close to the CBD, outperforming similar property types in most areas, data from the Residential Tenancies Authority shows. Place Advisory director Lachlan Walker said apartments of this type had recorded growth in the inner north, south and east of the state capital according to data for the 12 months between December 2012 and December 2013. Data for the 12 months between March 2013 and March 2014 showed a drop in the annual growth figure for many of these localities, signalling most of the growth took place at the start of last year. “The strongest performing suburb in Brisbane for two-bedroom apartment stock was Hamilton,” he said. “Median rents for two-bedroom units in Hamilton rose by 12 per cent over the past 12 months, which was largely due to higher rents being charged for new product in the area. Mr Walker said this growth came from the scarcity of two-bedroom apartments. “We haven’t had much in the way of two and three-bedroom apartments being delivered in the areas and that shortage of stock has driven the latest growth,” he said. Mr Walker said rental prices would stabilise as more people looked to purchase property. “Over the past three years we saw rental prices rise because people weren’t buying properties but now it’s looking like that demand is switching back over,” he said. New data from realestate.com.au shows more people were searching for apartment rentals in Brisbane’s CBD than anywhere else in the country over the past six months. Urban Property Agents principal Daniel Argent said this surge in popularity for inner Brisbane was driven by tenants moving interstate from Sydney and Melbourne. “Thirty-eight per cent of sales and rental inquiries we’re seeing at the moment is coming from outside of Brisbane,” he said. Mr Argent said rental demand was so strong that most properties were tenanted within two weeks of listing.